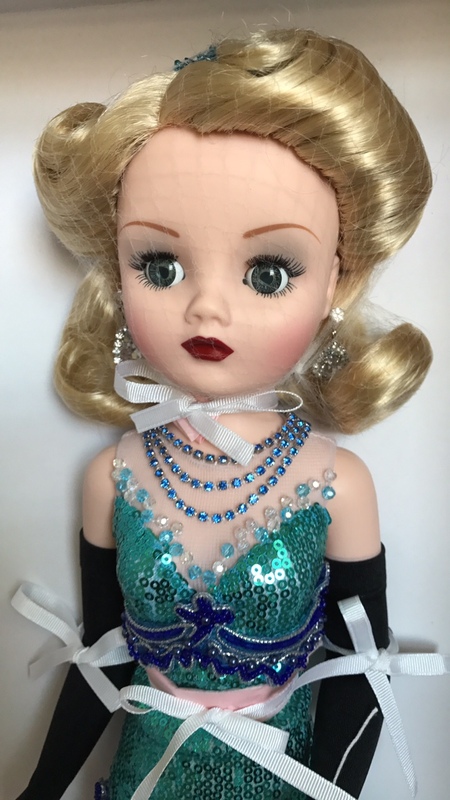 Gorgeous blonde, blue-eyed showgirl in extravagant sequined and beaded costume. 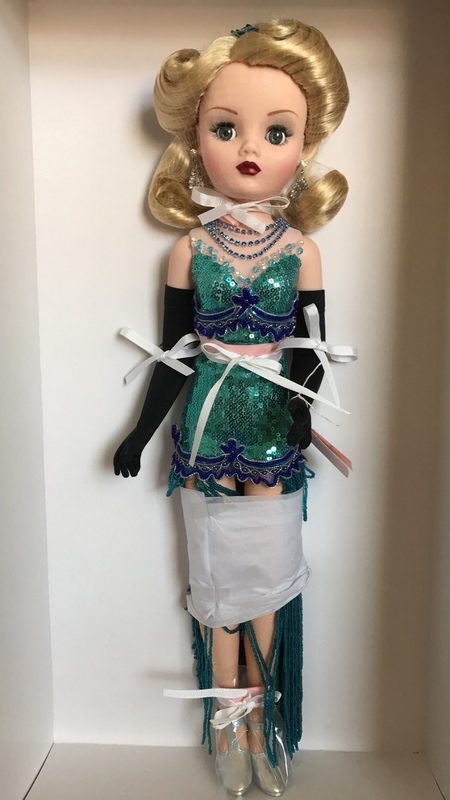 She's not missing any bead fringe but she was packaged with it between her legs and wrapped in paper - I guess to keep it from tangling. Her black gloves were not lined so she'd need to be displayed as dressed - her price reflects this.